It is a daily care to massage the skin. 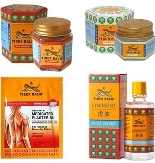 These properties are expectorant, antidepressant, anti-spasmodic & antiseptic. Jasmine is a small bush with white flowers native to India and Egypt. It is cultivated in France, Spain, Algeria, Morocco, India and Egypt.There are two kinds of jasmine used in the manufacture of essential oils: jasmine grown in the region of Grasse jasmine and cultivated in Egypt and India. The essential oil of jasmine oil is very expensive since it takes a very large number of flowers for a small amount of essential oil.In addition, the extraction method can explain the cost. This is the method by enfleurage. The idea is to drop the jasmine flowers once they have made all their essential oil on cotton cloth soaked in olive oil. Finally, we eliminate the olive oil with alcohol and it retains the pure essence of jasmine. There is another method to produce the essential oil of jasmine, but it is not used in aromatherapy for its quality is much lower. This alternative method is to directly extract the flower petals with alcohols of oil.Jasmine, this little white flower very pleasantly fragrant scents used to make also has significant virtues for the body. Indeed, the jasmine flowers work effectively against migraines, but are also allies of choice for people suffering from insomnia, stomach cramps and spasmodic cough, which consume as tea. Jasmine is also used to treat joint pain, nerve paralysis, where its essential oil is applied by massage. 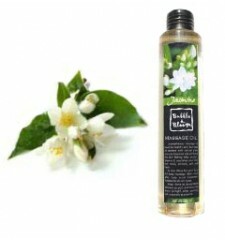 However, in the form of essential oil, jasmine is not suitable for children and pregnant women. In summary, the jasmine flowers have soothing, but also digestive, healing, antispasmodic and balancing. Jasmine is a plant-shaped small bush that grows in India and Egypt, it can also be found in some European countries like France or Spain. Jasmine is also grown in Algeria and Morocco. Jasmine essential oil is obtained by distilling the flowers of the plant called Jasminum officinalis. This oil was used in early Arab civilization for its quality fragrant. Indeed, we note the presence of jasmine in the Persian and European civilization from the 16th century. 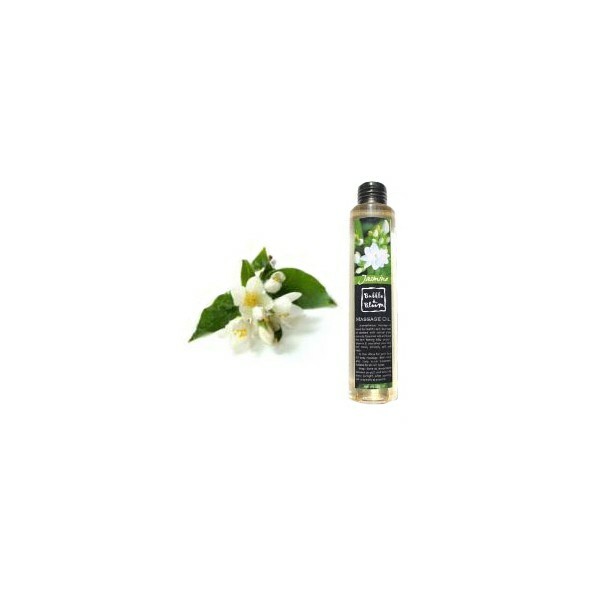 Jasmine is characterized by its white flowers and sweet-smelling honey highlighted by a touch fruity. Jasmine essential oil is expensive because of the large amount of flowers used to get it. This oil has a deep red color and can be used in different ways: inhalation, bath, massage or as perfume. Adapted to massage, essential oil of jasmine can find relaxation and well-being, it also combats insomnia due to its relaxing properties on the body and mind.